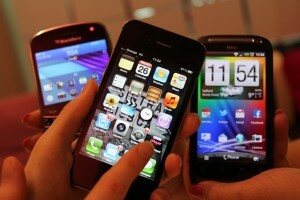 Technological advances in UHD broadcasting and mobile social sharing leading up to the start of COGNITUS, coupled with over fifty years of research and development in multimedia systems technology, motivated research into how user-sourced media could enrich the conventional broadcasting experience. The three year COGNITUS project brought together experts in video broadcasting, processing and analytics, with the aim of enhancing conventional ultra high definition (UHD) broadcasts by combining it with quality user generated content (UGC). COGNITUS offers an end-to-end platform to aggregate User Generated Content (UGC) during events, enhance to Ultra-High Definition (UHD) quality and provide semantic enrichment to facilitate the smooth integration in broadcast productions. COGNITUS includes innovative tools for the producers to manage calls for UGC contributions and access the enhanced content using a number of smart search methods, including via text, visual similarities and audio correlation. A suite of applications integrating innovative technological modules provide the overall functionality: a mobile app for UGC contributors; plot authoring for producers; a set top box and companion app for end-users; and a system administration application. 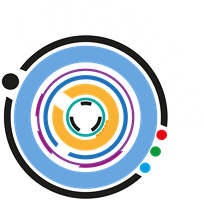 The COGNITUS platform was developed in response to an era of multimedia capture and consumption trends: (i) the general public progressively capturing more multimedia content via mobile phones, and sharing via social media platforms; (ii) changing media consumption by audiences, with increasing demand for superior picture quality evidenced by the increasingly wide availability of UHD TVs, High Dynamic Range (HDR) TVs and new display technologies. While these trends presented opportunities to provide new engaging experiences to audiences, COGNITUS identified a number of significant gaps in bridging the necessary technologies. Notably, a lack in variety of good quality UHD content existed at the outset of COGNITUS (partly due to very high production costs). Furthermore, available UGC media was typically poor technical and editorial quality. Any existing market solutions for exploitation of crowd-sourced multimedia content (e.g. from social media platforms) lacked reliable quality control and enhancement mechanisms, which COGNITUS technical innovations stepped in to address.